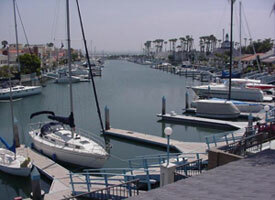 In Coronado Cays Homeowners Association v. City of Coronado (2011), the City of Coronado (“City”) appealed a judgment in which the court determined the City, rather than the Coronado Cays Homeowners Association (“Association”) is responsible for the maintenance of a berm that provides lateral support to bulkheads located on Association property. The original developer of the project had placed concrete bulkheads along “Lot 90” of the development to act as a retainer for the waterway that was to be dredged on the adjoining lot, “Lot C”. The developer then dedicated “Lot C” to the City for public recreational use while reserving a 55′ wide easement for docks and related structures for the exclusive use of the Association’s residents. The gradual erosion of the supporting berm in which the bulkheads are embedded resulted in the failing of several bulkheads. Though the Association conceded that it is responsible for maintaining the bulkheads, the Association sought a judicial determination that the City is responsible for maintaining the berm since it is located in the waterway. The City denied any such responsibility, arguing that the berm was an “ancillary structure” for the bulkheads that the Association, pursuant to the language in the easement, was required to maintain. However, the court rejected this argument by explaining that the berm could not reasonably come under the definition of an “ancillary structure” that was contemplated at the time the easement was created. This recently decided case reminds us that the language and interpretation of Association easement agreements could drastically affect the maintenance obligations and liabilities of an Association. If your Association would like assistance in determining the scope of its rights and liabilities under its easement agreements, or in drafting an easement agreement over Association property, please contact our offices and speak with one of our attorneys.